‘Twas the night before spring break and back at the dorms, the halls stood empty, forgotten in the packing storm. The SUV’s are loaded or the plane tickets checked in, and the bikini is packed right next to eight packs of Ramen. There was only one thing missing, but not the Bubba Keg mug—a playlist for raging from the beach to the club. 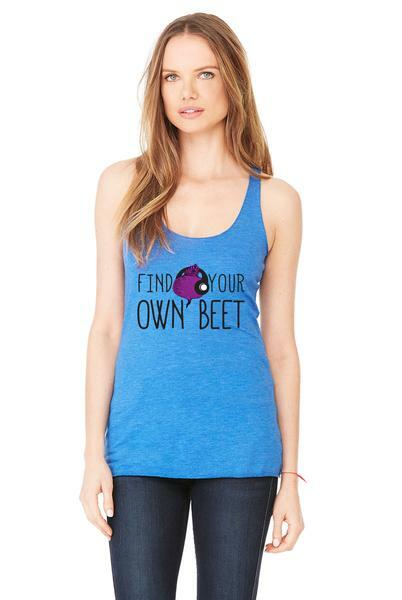 You can find the beat in the music… but it doesn’t help to have a cute tank to match the mood. Here’s all of the songs you need on your spring break playlist ASAP. As the ultimate 2012 rave song “Levels” rages in the background courtesy of Avicii, Britney and Co. are interspersed and overlapped to bring you the best of recent party music into one song. It’s the epitome of a spring break night: tons of people, electronic dance music, and when it’s over you’re not really sure what happened, but you want to do it again. Calvin Harris knows how to produce a theme song for college partiers, and this one would be the soundtrack for the fast-forwarded montage of your vacation they’d play on your personal reality show. Exemplifying the quick crescendo of energy from the time you drive up to the Holiday Inn to the point where you’re thrown into a wet t-shirt contest, this gets the party started but is still beach friendly. This is the ultimate dance song, even if it is lyrically lacking and pretty inappropriate. The repetitive rhythm of this “Go Stupid” anthem will get you twerking after a few drinks, no matter how much you’ve got in the trunk. Whether you love it or hate it, the song will definitely be stuck in your head for the entire trip. From their new album Breakfast, Chiddy Bang brings you the perfect beach song with their piano-pop sound and smart rap lyrics. Get your stunna shades and crank up the tune to get you out of bed the next morning bright and early, despite last night’s shenanigans. Raves. Strobe lights. Neon tank tops and jean shorts with the pockets showing. From the group that produced “Like a G6” and “Bass Down Low”, The Cataracs’ lyrics will be getting you high and taking you for a ride, and you can only end up on the “Top of the World”. Fun. frontman Nate Ruess showcases his unique set of pipes with this power anthem that you’ll hear every one belting on their way home at 3 a.m., “So if by the time the bar closes and you feel like falling down, I’ll carry you home tonight.” Let’s hope these new-found vocalists stay true to their word when you start taking shots to drown out 500 girls who’ve declared it as their “new favorite song ever”. Everyone loves old spring break songs right? They remind you of the foam parties, beach dance parties, and the rest of the memories you’ll never remember. Steve Aoki’s remix to one of our favorite party songs spices it up for SB 2012, interspersing the lyrics we know by heart with ascending bounce beats. Fresh off the new movie Project X’s soundtrack, Benassi’s revamps Wale’s hip-hop hit with an electric flair, making it clubbing appropriate. Even the blunt line of “Ugly girls be quiet, quiet/ Pretty girls clap, clap like this” will have you laughing, dancing and clapping at the same time. The background vocals are remnant of 80’s pop, and by the time the song’s over you may not remember what decade you’re in. What is spring break with out some skin-on-skin action in the hot tub, the foam party, or the sand? Use this David and Nicki collaboration as an excuse to get friendly with that hot blonde in the pool.